Consultants GVA have been appointed to help the Ebbsfleet Development Corporation (EDC) realise its ambitions for Ebbsfleet Central, a nine million sq ft mixed-use scheme which will act as the gateway to Ebbsfleet Garden City. 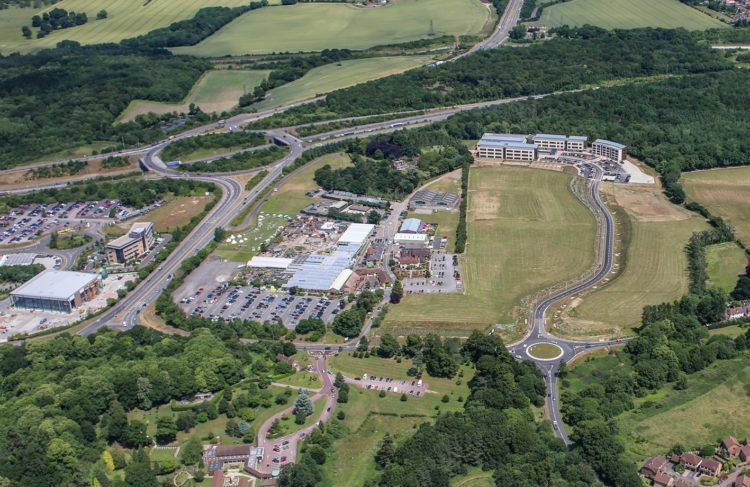 Plans to develop Innovation Park Medway, one of the three sites that make up the North Kent Enterprise Zone, have received a vote of confidence with confirmation of £4.4 million from the Local Growth Fund agreed by the South East Local Enterprise Partnership. The Kent Surrey & Sussex Air Ambulance is set to be the first new occupant at the Innovation Park Medway enterprise zone site when it opens in May 2018. Berkeley Group was given approval by Ebbsfleet Development Corporation’s planning committee to build a 150,000sqft manufacturing facility and a 15,500sqft office building on a ten-acre site in Northfleet. Kent Medical Campus, part of the North Kent Enterprise Zone, has welcomed today’s launch of the Government’s Industrial Strategy, including commitment of £210 million investment to improve early diagnosis of illnesses and develop precision medicine for patients across the UK. Maidstone is to receive a £4m boost to help reduce congestion and attract further businesses and jobs to Kent Medical Campus. The North Kent Enterprise Zone, set to be the most diverse business development established in the county in recent years, recently made its debut at the UK’s largest and most insightful property summit (18 & 19 October).